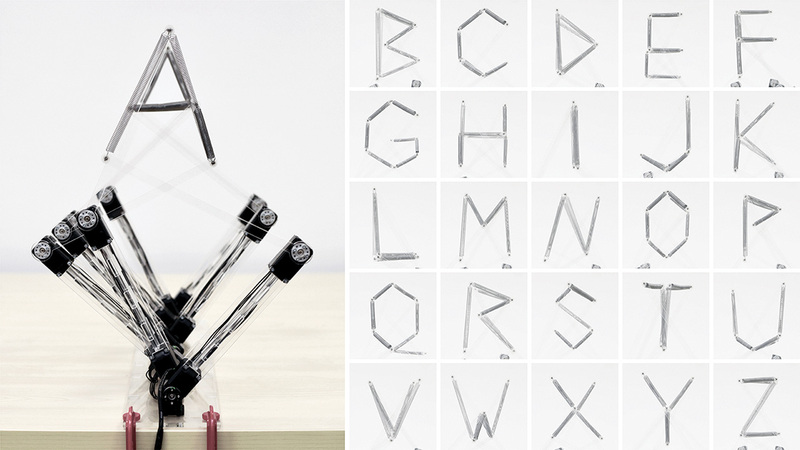 A study of kinetic typography mainly using robots. 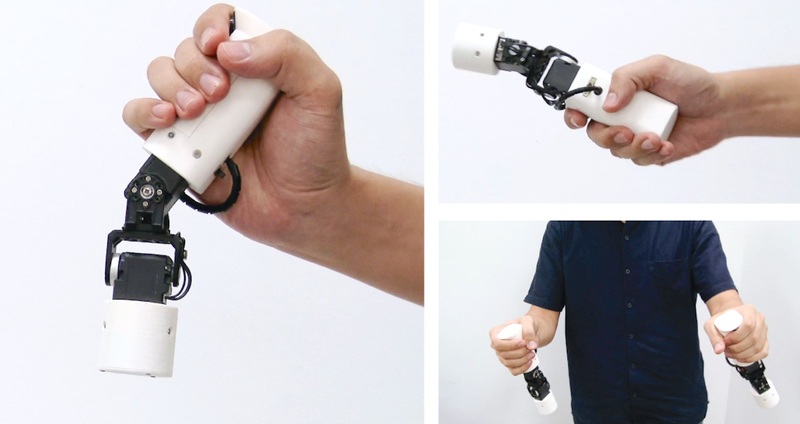 A mid-air interaction device which produces the maneuvering feeling of a conventional joystick in the air. 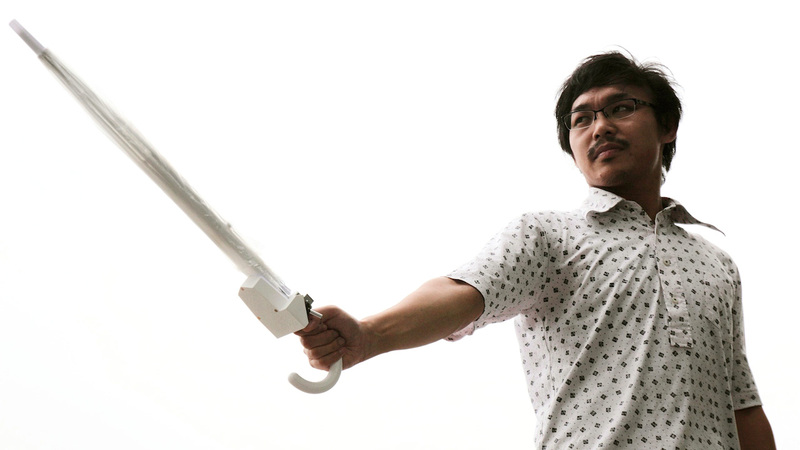 An umbrella for enjoying a blissful walk after a rain. 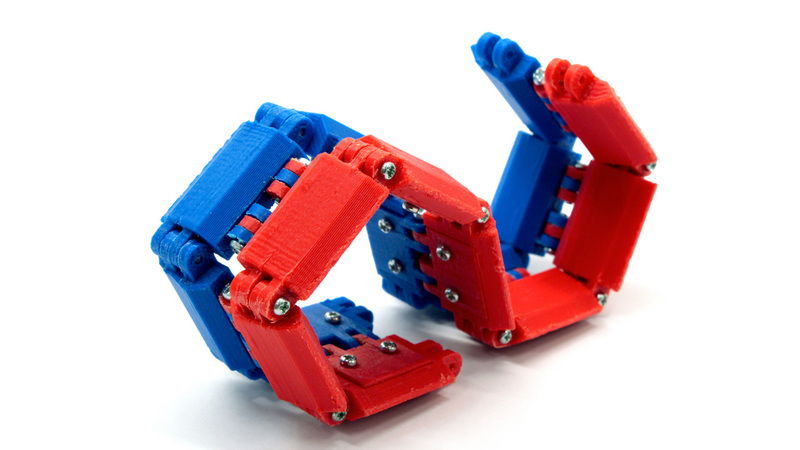 A physical structure for gadgets variable in shape and flexibility. 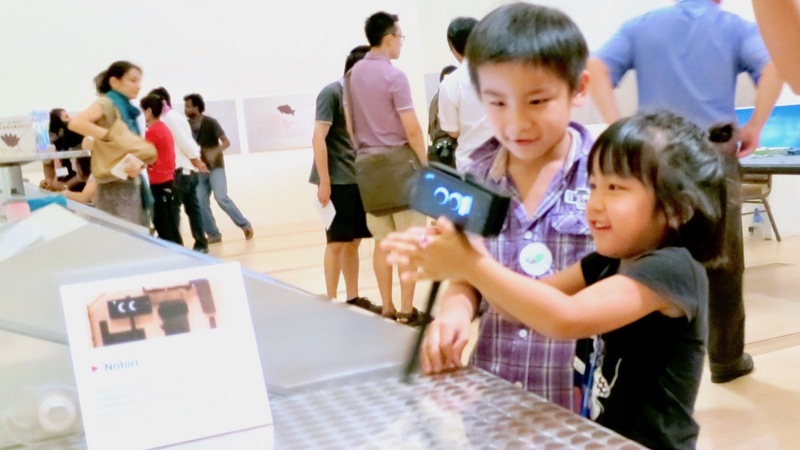 A toy car that provides the fun of chasing. 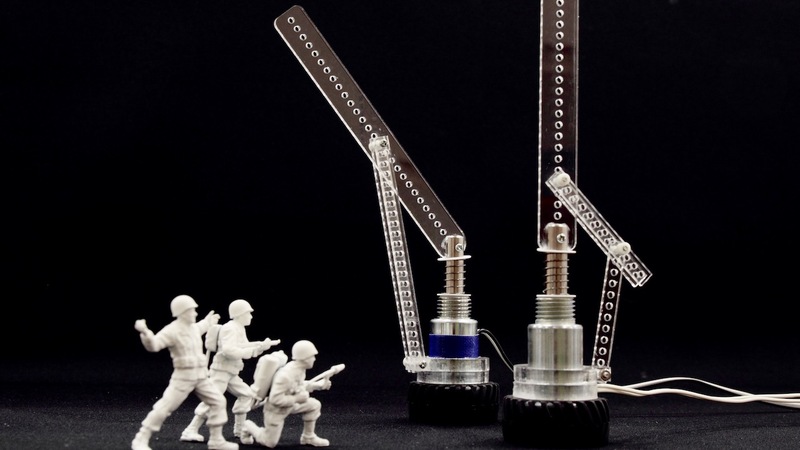 An expression device that shifts its behavior in accordance with the switching frequency and timing of the solenoid. 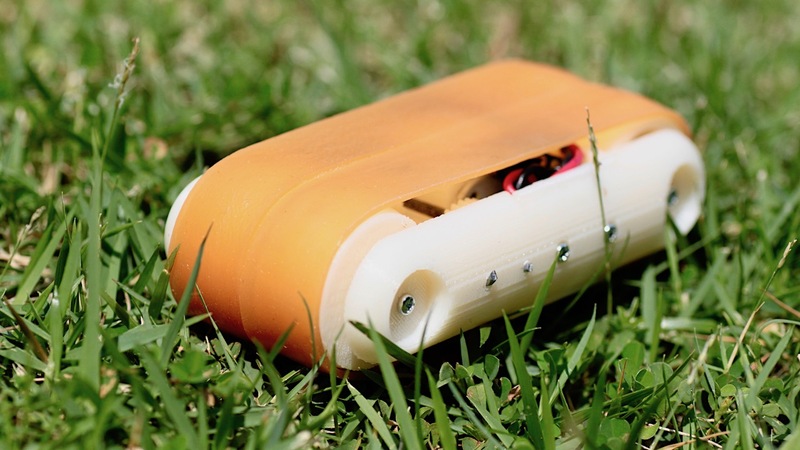 A play kit that can revive a worn-out Smartphone. 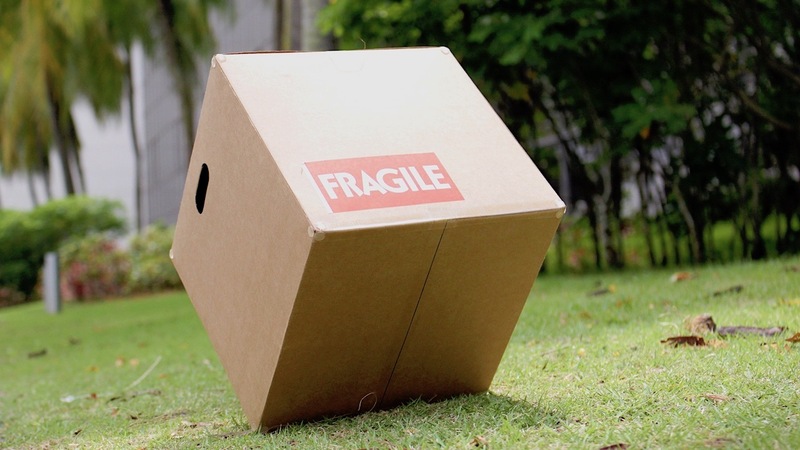 A project to create a self-propelled cardboard box without an external drive system. 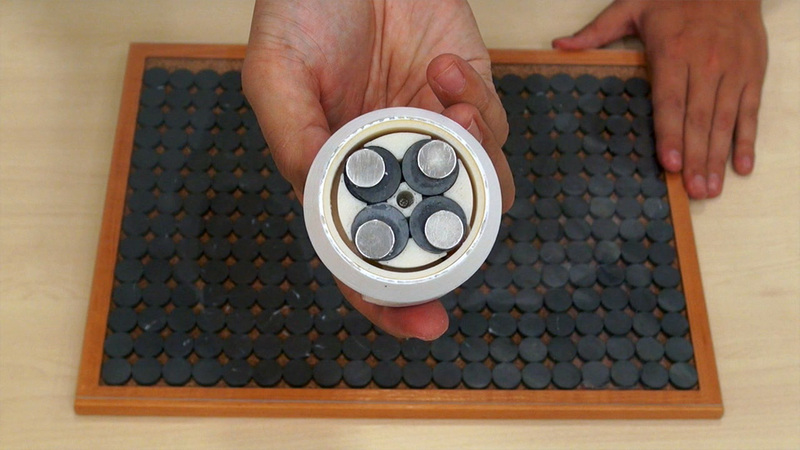 An easy-to-design haptic surface using magnet array.